Yesterday Kim turned 65, preached and presided at communion, had lunch with his congregation, and retired from pastoral ministry. This is the text of his last sermon as well as the communion service that followed. It’s not about me, it’s about him, it’s about Jesus. That is all I have ever wanted to do as your minister: to remind us all – me first – service by service, sermon by sermon, visit by visit, conversation by conversation, in assurance and doubt, in clarity and confusion, in joy and sorrow – it’s about him, it’s about Jesus: his lordship and friendship, his disturbance and consolation, his grace and commands. Again, I know I have failed you. I always knew I would fail you. Because I don’t think success in this vocation is possible, and even if it were, I don’t know what it would look like (it’s certainly not measureable). Yes, failure is inescapable. In preaching, I know I should have prayed more, thought harder, spoken more clearly. In leading, I know I should have been more assertive here and less directive there, more discerning, more enabling. In caring, I know I should have been there for you in such a way that no one need ever have said, “I’m sorry to bother you, I know you’re busy, but …” In all things, I have failed to decrease so that Jesus might increase, too much Kim and not enough Christ. And for proof that I have failed you – gentle rebuke! – that so many of you are here today because of me, when you should be here every Sunday because of Jesus. Because it’s all about him. Many years ago I preached a sermon entitled “Who Is Jesus of Nazareth – for Me?” It’s still a good title, especially, I think, for a final sermon. Of course, I’d like to delete the “for Me” because, yep, it’s not about me, it’s about him, but you can’t do that. You can’t do that not only because there is no Jesus-in-general, but also because I cannot know Jesus directly, I can only know him in a mediated way. We always see Jesus through the lenses of the gospels, each with its own particular picture of Jesus; and, in turn, we never read the gospels neat, we always bring with us traditions of interpretation; and, in turn, these interpretations are always conditioned by context and perspective; and, finally, there is me – yep, me again, darn it, always getting in the way – me with my readings of Jesus inevitably distorted by prejudice and fantasy. This side of eternity, our knowledge of Jesus is always correctable, provisional; there is always more to know. Still, Jesus himself confronts us with the question “Who do you say that I am?” And equivocation won’t do, the answer is urgent: Who is Jesus for me today (Bonhoeffer)? Well, for starters – the present is what the past is doing now – Jesus for me now cannot be other than Jesus who was then. He must be the 30-odd-year-old Jew who lived in first-century Galilee, a Roman colony administered by a local despot, where there was systemic oppression and exploitation, as powerful and wealthy elites used religion to legitimate their place in the social order and violence to protect it. These were very troubled times in occupied Israel. Nazareth, where Jesus grew up, was a small agricultural town, population 400 max. The issues of hunger and debt dominated daily existence. Jerusalem was 70 miles south, population 50,000, swelling to a quarter-million during the Passover festival of liberation. There the high priest and his Temple colleagues collaborated with Caesar’s minions. As for life 24/7, being Jewish, practicing the teachings of Torah and tradition – food laws defining what you can eat; purity laws dealing with the body, its fluids and blemishes; the weekly sabbath, time set apart for worship, rest, and festivity too; all overseen and regulated by the scribes and priests. This is the world in which Jesus appears, blazing like a comet across the night sky, clapping like thunder on a cloudless day. What was he like? He is the “man who fits no formula” (Eduard Schweizer). The engine room for this human dynamo – his relationship with God, so intimate that, like a child, he calls God Abba. This Abba-experience of Jesus – it is the source and secret of his being, his life-style, his mission, which is to announce the arrival of, and to get people ready for, the “kingdom of God”. And, please, after 31 years, I trust you know that the kingdom of God is not some sanctum within nor a heaven above, know that Jesus did not come to bring us a quiet life, nor to flog fire insurance, that he came as the agent of God’s shalom, the personal and corporate experience of grace as forgiveness, acceptance, and inclusion, of social justice and the common good. God wants it all, God wants it now, and there ain’t nothing going to stop it – this divine invasion – sweeping away all that opposes it, all that inflicts suffering and death, all that murders joy and hope. But this rainforest of flourishing starts as a seed, starts with 12 ordinary Jews, representing the 12 tribes of Israel: the renewal of the world begins with the renewal of Israel. Jesus is, above all, a teacher, so he tutors the disciples, but he also gives public lectures, and the heart of his teaching is so simple that a child can understand it and so hard that only the empowered can do it. By provocative short sayings and absurdly counter-intuitive stories, Jesus challenges, teases, and shocks us to see the world radically differently from our conventional perceptions, which for Jesus are symptoms of an optical illness. Discipleship thus begins with vision, a vision of this new world that Jesus discloses, which, hidden in our old world, happens to be the real world; a vision that then inspires lives that embody the values of this new world in opposition to the values of our old one, cynical, pitiless, and nihilistic. You see, because Jesus loves the world, he sifts the world. He has a special compassion for the little, the least, and the lost, and a particular beef with the movers and shakers. Jesus comes in love, not judgement – he is, in fact, the love of God incarnate – but when human beings encounter such divine love, there is a decision to be made and an outcome that follows: either love kills you – you die to self and live for others – or you kill love – which is exactly what the combined forces of church and state do, in the name of law and order of course: love gets lynched. 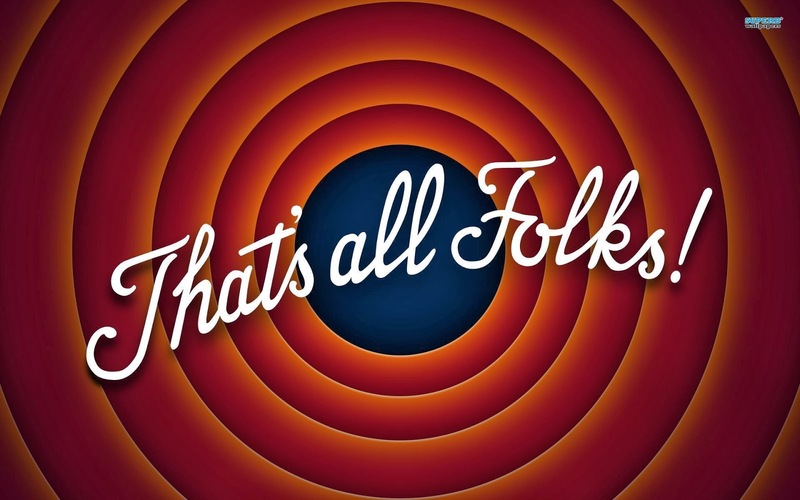 And that’s it… But no, it’s not! Hooray! Whoopee! God raises his dead Son. The victim turns out to be the victor. The friends of Jesus, who in stupidity and cowardice betray, deny, and abandon him – they re-experience grace as forgiveness. The enemies of Jesus, who in fear and malice torture and execute him – well, in his risen life as in his earthly life, Jesus does not answer his killers with vengeance. Who knows, maybe one day they too will see the world otherwise, disarm, and drink deeply from the love God never ceases pouring into the world like lake upon lake of the finest Shiraz – Jesus likes to liken the kingdom to a never-ending bit-of-a-do! That, in short, is the Jesus who was and is and is to come, the same today, yesterday, and forever. This Jesus lives for me, with me, and, sinner that I am, often against me. Does he answer all my questions? On the contrary, always with the counter-question, my interrogative Saviour: “You work it out!” Does he keep me from suffering? On the contrary, he says that I should count on it, that discipleship is dangerous, because obedience will likely get me into trouble with the same kind of grace-abusers who finally nailed him. Does he advise me to play it safe and cut my losses? On the contrary, this is the guy who extols a shepherd who endangers his prize lambs to fetch a wayward runt, a father who delights more in his irresponsible spendthrift of a son than in his respectable book-keeping brother, a heretic who risks his life and empties his wallet on the victim of a roadside mugging, and a farmer who pays a bunch of last-in part-timers the same wage as his all-day grafters. Finally, does he love me? What a silly question! Of course he loves me, and nothing I do can make him love me any more or any less. In prayer he quiets my restless heart, in work he gives me a sense of freedom and purpose to be there for other people, in leisure he tells me to laugh and live it up. And as for the death that stalks me every day and will one day overtake me, he says, “Don’t be afraid!” – death is but the self-expenditure of love – and he promises that because he lives forever, I will live forever too. What more could I want? What more do I need? And those failures? With my failures he is patient – and more: he gives me a family of failures for company. If it’s not about me, it’s about him, it’s also about us, the church, this gaggle of goofballs. But we are – at least I hope we are – also a community of character that is serious about finding and focussing our life in Jesus, serious about the struggle to speak truthfully about God – so much contemporary God-talk is froth and piffle – and therefore serious about engaging in odd and subversive practices like worship, confession, Communion, Bible study, by which we are nourished and strengthened to live out the Sermon on the Mount, that snapshot of life in that new world coming, of which Jesus is both the promise and the pioneer. No, it’s not about me, it’s about him; but he’s about us, he’s about everyone! I’m finished – and famished: the Lord has prepared another Supper for us. 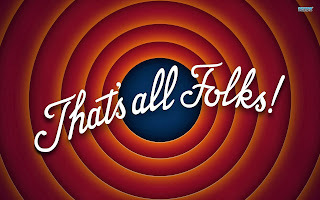 As Porky Pig famously stutters at cartoon’s conclusion, “Th-th-th-that’s all, folks!” Or is it? For though we may not recognise it at the time, what is every ending but a new beginning? Are you hungry? Are you thirsty? You’ve come to the right place! There is plenty of room at this table. black-skinned and white people, the blond and the bald. hearty bread to fill your belly, heady wine to make you sing. Come, join us – and live. People have been breaking bread in the name of the Holy One for centuries. Our Jewish mothers and fathers blessed bread and wine and shared it. to pass the loaf of love and the cup of kindness. And generous people have given hospitality to travellers and strangers, fellow pilgrims on the way to the kingdom. one who would deny him, another who would betray him. And they did. And we do. Let us give thanks to God. In the beginning, You. In the now, You. And when time ends, You. Always You! shaping us to be signs of your presence on earth. and into our hearts the strength to love. and the vision of a just and joyful world. learning and loving, teaching and healing, forgiving and rebuking. the lash of the whip, the crown of thorns, the cruel cross. and the echo of the empty tomb rang around the world. communities of character, churches in mission. with your grace and energy. and all rejoice in a new heaven and a new earth. is now for us the bread of life. is now for us the wine of salvation. word and worship, family and friends. past comfort, through conflict, toward connection. with strength, commitment, and compassion.